Teclast is still somewhat under the radar on the tablet market, although the product portfolio is impressive. 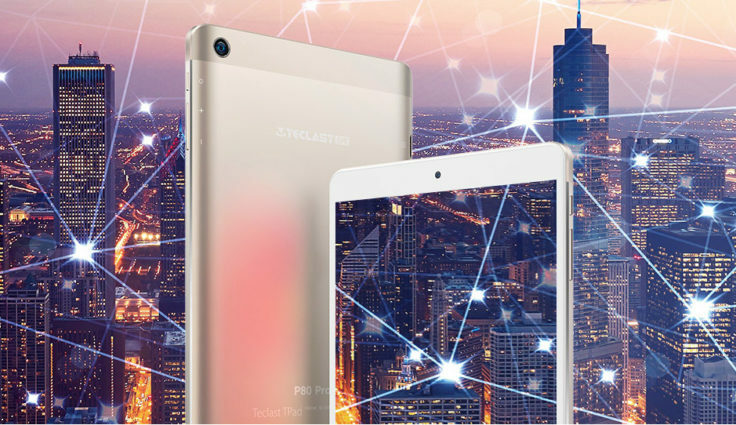 We recently tested the Teclast Master T8 Tablet and it was able to convince with features such as the fingerprint sensor. The Teclast P80 Pro comes to market with a similar size but less power under the hood at a significantly lower price. What does Teclast offer for less than $100? The Teclast P80 Pro is largely similar to the T8 already mentioned, with a striking white front and clear screen borders on all four sides. However, the “chin” and the upper side are much wider than the two lateral edges. 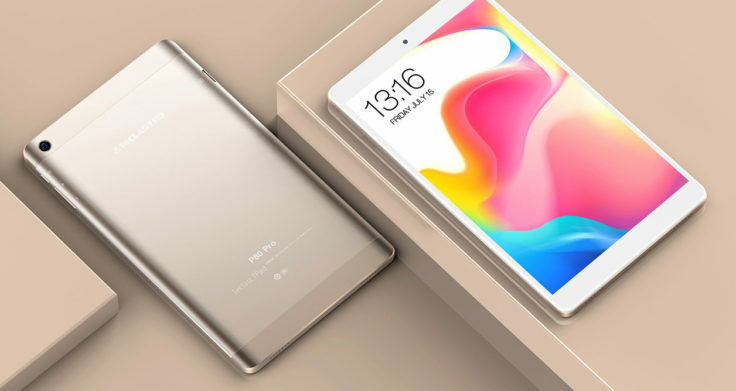 The screen, which measures 8 inches diagonally and is slightly smaller than the Master T8, has a resolution of 1920 x 1200p and is therefore sufficiently large. As expected with the price, it is an IPS panel that supports Multi-Touch with 10 fingers – quite standard. The back is quite elegant thanks to the champagne gold back. It is made of aluminium and should be of relatively high quality despite its low price. This should be an advantage over the plastic processing of the FNF iFive Mini 4S. On the back you can also see the camera, but experience has shown that we have to pay less attention to it. On the front you can also see a camera with a resolution of only 0.3 megapixels. Why a worse camera is used on the front side than on the back side (2 megapixels) remains a mystery to me. Otherwise, the front panel lacks a home button, so it is operated exclusively via the three digital navigation buttons on the screen. A tablet for less than $100 raises the question of how much usable hardware is in it. The heart is the MediaTek MTK8163 processor, a CPU with four cores with a clock speed of 1.3 GHz. This is an entry-level tablet processor that also finds its place in the Amazon Fire HD 8, while the roccchip processor from the FNF iFive Mini 4S offers similar performance, but clocks a little higher. In comparison, the performance of the P80 Pro should therefore be slightly lower, but is also generally only at a relatively low level. In combination with 2 GB of RAM, social media apps, surfing and checking e-mails should not be a problem. If you like to play games or want to tackle more complex tasks such as image editing or music production with a tablet, you prefer stronger tablets. For example, the CHUWI Hi9 Air or VOYO I8 Max are an option. For this purpose there is 32 GB internal memory on the house, which you would have to get along with easily. As soon as the memory bursts at the seams, the microSD slot can be used, which allows a maximum capacity of 128 GB. The battery is relatively large at 5,400 mAh and should provide a better battery life than the iFive Mini 4S. Of course, the internal memory is not so large, because the pre-installed Android 7.0 already takes up some memory. Nice that despite the low price a relatively current Android finds its place on the tablet, because unfortunately FNF could not afford that. Nevertheless, we know from the Teclast T8 that the manufacturer always adapts the surface slightly. In addition, there are the essential connection options that you need. These include the already mentioned microSD slot, Micro-USB, Micro-HDMI and a 3.5 mm headphone jack. On the wireless level, the Teclast P80 Pro Dual Band offers 02.11 b/g/n WiFi, GPS and Bluetooth 4.0. The integrated GPS is not necessarily a matter of course for tablets and could therefore be a decisive factor in the purchase decision. The Teclast P80 Pro is definitely not a highlight on the tablet market, but in addition to its price it still scores with some features. With dimensions of 21.2 x 12.4 x 0.99 cm it is not much bigger than a smartphone and therefore very portable, various connection options and Android 7.0 with all Google services should cover the most important needs. Furthermore, the generously expandable memory and the GPS module is a nice plus. On the opposite side are the somewhat weak processor and the camera, which you can probably give away. Compared to the FNF iFive Mini 4S, the advantages of the P80 Pro are the newer but adapted operating system, GPS module and processing. The FNF should score with more power and a “cleaner” operating system. 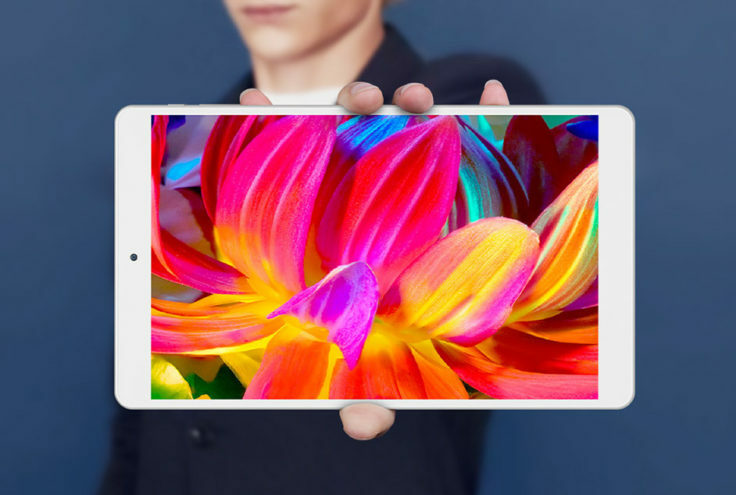 If you want more performance, you’ll find the Teclast T8 or even the Teclast Master T10 in Teclast’s own squad – how do you see it: does the Teclast P80 Pro deserve a test?